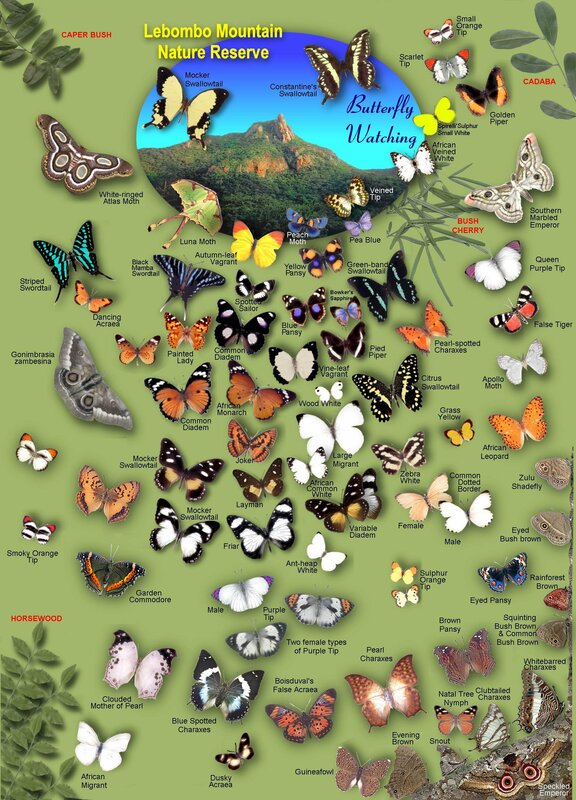 We can produce brochures of the butterflies of your area, B&B, reserve. This is very useful if you intend to offer butterfly watching to your visitors in your premises or as a souvenir for your guests. Depending on how comprehensive the brochure you want to be, the production of the brochures entails a visit to your premises to carry out a butterfly survey of the area in concern during pick butterfly season. We will charge transport and accommodation if necessary in case the survey takes more than a day to complete. The cost of designing the brochure depends again on the complexity of the brochure.